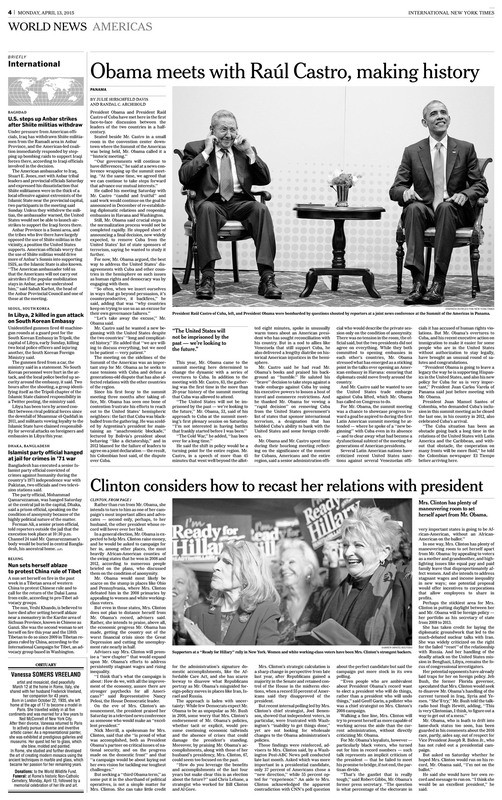 Vanessa Somers Vreeland Obituary in the International New York Times on April 13th, 2015. 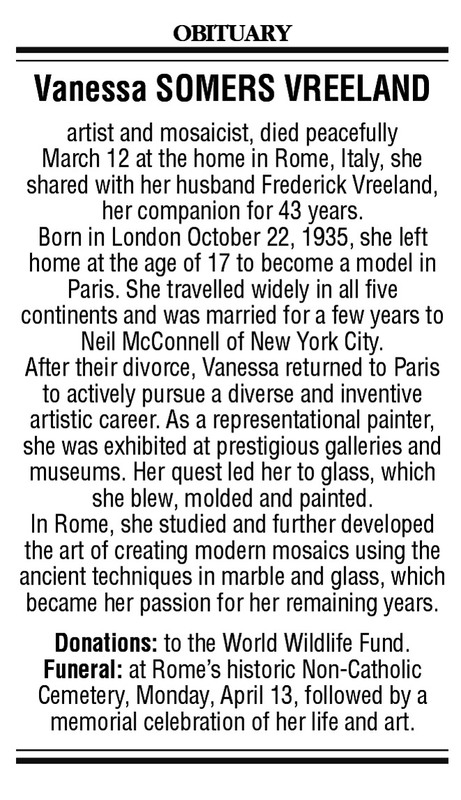 Vanessa SOMERS VREELAND artist and mosaicist, died peacefully March 12 at the home in Rome, Italy, she shared with her husband Frederick Vreeland, her companion for 43 years. Born in London October 22, 1935, she left home at the age of 17 to become a model in Paris. She travelled widely in all five continents and was married for a few years to Neil McConnell of New York City. After their divorce, Vanessa returned to Paris to actively pursue a diverse and inventive artistic career. As a representational painter, she was exhibited at prestigious galleries and museums. Her quest led her to glass, which she blew, molded and painted. In Rome, she studied and further developed the art of creating modern mosaics using the ancient techniques in marble and glass, which became her passion for her remaining years.